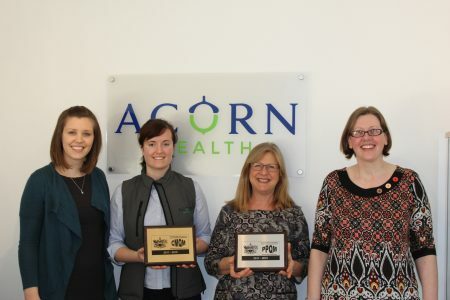 Acorn Health receives two national awards for the second time running! 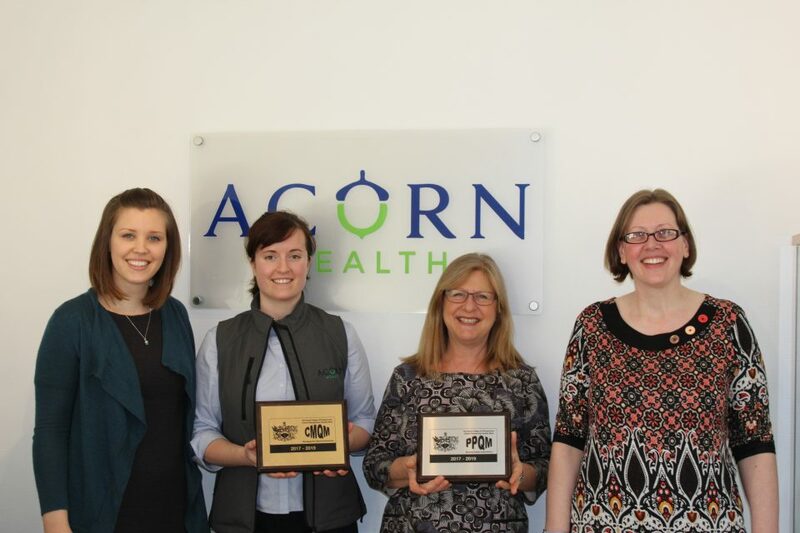 We are beyond thrilled to announce we have been awarded the highly regarded Patient Partnership Quality Mark (PPQM) and Clinical Management Quality Mark (CMQM) from the Royal College of Chiropractors for the second consecutive occasion! This comes following a highly successful launch of our new premises in Palmers Road, marking the start of an exciting new period for us. 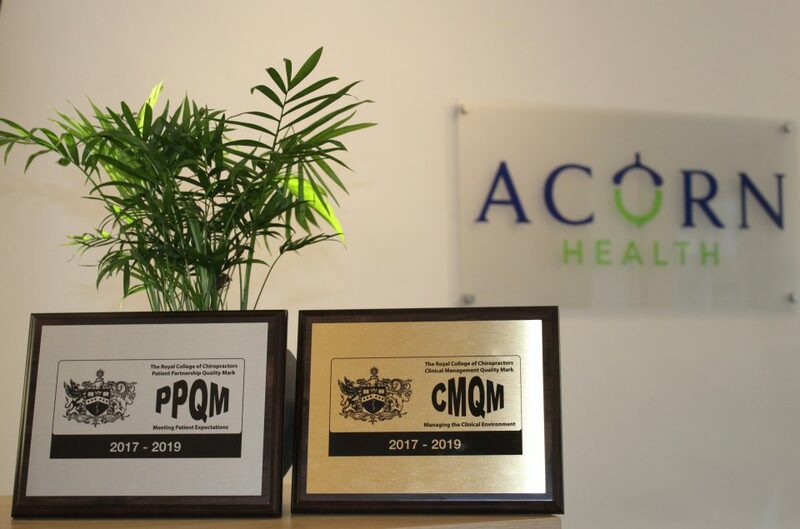 The PPQM is awarded to clinics that demonstrate excellence in meeting patient expectations in a range of areas including accessibility, cleanliness and safety and patient communication. The CMQM is awarded to those clinics that demonstrate excellence in terms of operating within a structured and managed clinical environment. The clinics must demonstrate excellence in a range of areas including clinical audit, incident reporting and patient satisfaction. The treatments and services we provide at Acorn Health are uniquely tailored to your needs, and it is important that we work together with you to achieve whichever end goal you are seeking- be this reduced pain, improved sporting performance, or simply being able to run around with your family! 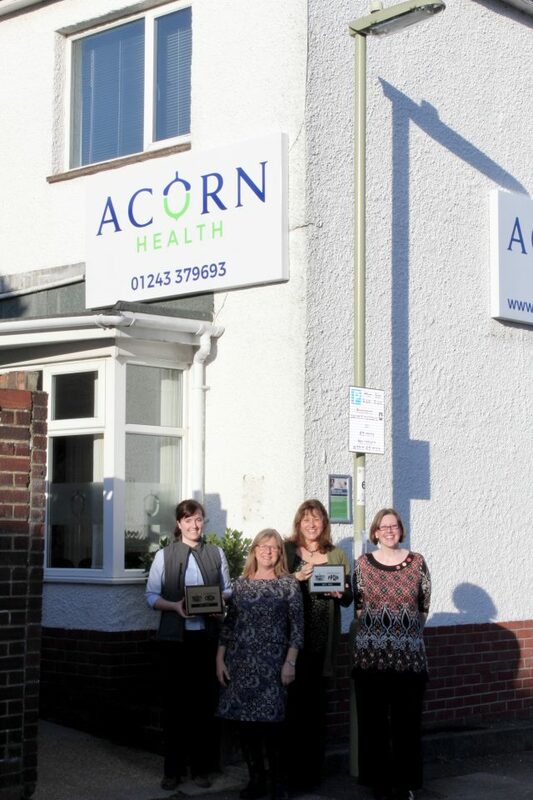 Our wonderful team of practitioners work together to support each other and you, ensuring your and your family’s healthcare needs can be met under one roof.